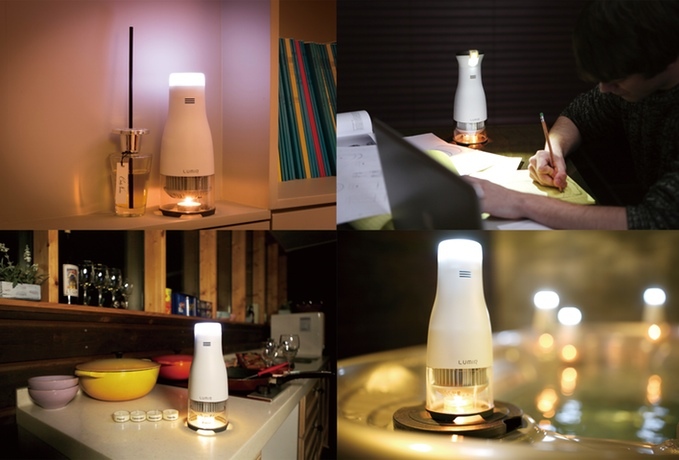 A Tiny Candle Powers The Lumir C, An LED Lamp | OhGizmo! You take electricity for granted, my friends. But there are parts of the world that are off the grid, and guess what, these folks need to see in the dark too! The Lumir C is meant to work without batteries or any form of external electrical source, and be used in settings like camping or simply as an effort to conserve energy. 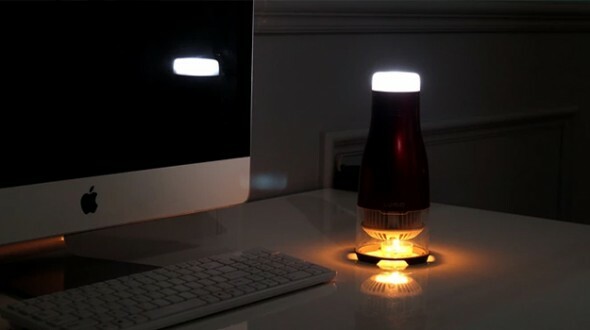 The device powers its LED light through harvesting the heat from a burning candle. You see, a good portion of the energy given off by a candle goes right into the invisible portion of the electromagnetic spectrum, being released as heat-carrying infrared radiation. The Lumir C harvests this “wasted” energy and uses it to power its LED light, giving off a light output of 15 lumens via four 0.2W LEDs… about as much as a candle, actually. But remember, you also have the light from the burning candle still going, so the Lumir C effectively doubles the visible output from a candle. With this arrangement, you can open up mood and lighting possibilities candles alone couldn’t provide. It’s a $59 pledge, with shipping in July. Seems like a redundant toy to me. And the price/ No way man. This is supposed to be for off grid areas without electric? $3 worth of parts. Know what else produces the light of 2 candles? 2 candles. Another tea candle weighs about 3% as much as this thing. Who wants to transport this thing when it is full of soot after one use? Yes, you will have to clean it. The environmental impact of the existence of this thing is likely hundreds of times that of burning another tea candle. Turning heat energy into electrical energy is very old technology. These hipster-crowdfunded-gadgets have reached a new low.